Did you see the front page of today’s New York Times? 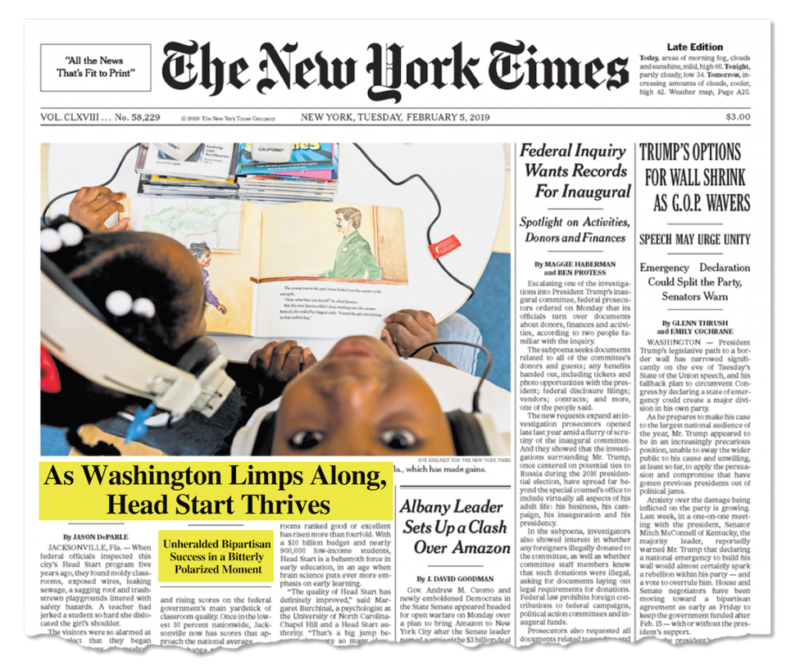 Featured prominently — A1 above the fold — was an article about the undeniable success of the Head Start program, and the bipartisanship that has led to substantial quality and funding increases recently. As the article states, “Despite its roots in President Lyndon B. Johnson’s War on Poverty, Head Start, which was founded in 1965, has long attracted support from both Republicans and Democrats.” And FFYF’s latest national poll shows that an overwhelming majority of American voters today (82 percent) support providing greater funding to Head Start and Early Head Start, including 62 percent of Republicans, 81 percent of independents, and 96 percent of Democrats! And Congress has made Head Start a top priority in recent years. Over the course of the 115th Congress, funding for Head Start and Early Head Start increased by nearly a billion dollars. 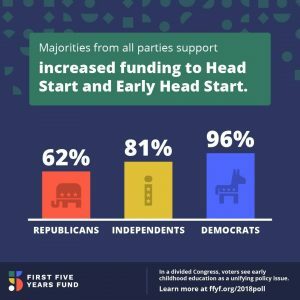 At a time when funding for many discretionary programs are facing funding cuts, the bipartisan increase of roughly $900 million to Head Start and Early Head Start demonstrates a clear commitment in Congress to ensure these crucial programs are able to reach more eligible children from birth through age five. Click here to read the article in the New York Times, and click here to learn more about the Head Start program on the FFYF website.